The documentary 'Sisters' is the result of the vision and efforts of Executive Producer Carol Rittner rsm, distinguished professor of Holocaust and Genocide Studies at Richard Stockton College, New Jersey. Five women religious appear in the one hour documentary. Two are Mercies - Deirdre Mullan rsm, Consultant to UNICEF and Executive Director of Mercy Reaches Mercy Inc and Karen Schneider rsm, a pediatric emergency room physician at Johns Hopkins Hospital in Baltimore. Melissa Camardo, SCL, a hospital administrator in Denver; Monica Gundler, SC, who works with young people in New Orleans; and Michelle Lesher, SSJ, who works in campus ministry at Chestnut Hill College in Philadelphia, are the three other faces of religious life today. 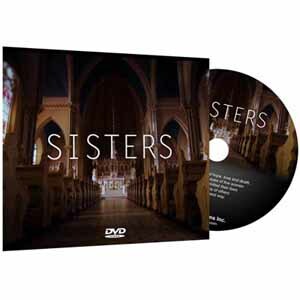 Sisters is now hosted on mercyworld.org, accessed from the VIMEO Channel of its director, three-time Emmy winner and Academy Award nominee, Robert Gardner, of Baltimore. Copies of the DVD can be purchased online here from Gardner films for US$29.95. Meanwhile, watch it online courtesy Robert Gardiner and Carol Rittner rsm as their contribution to the Year of Consecrated Life.